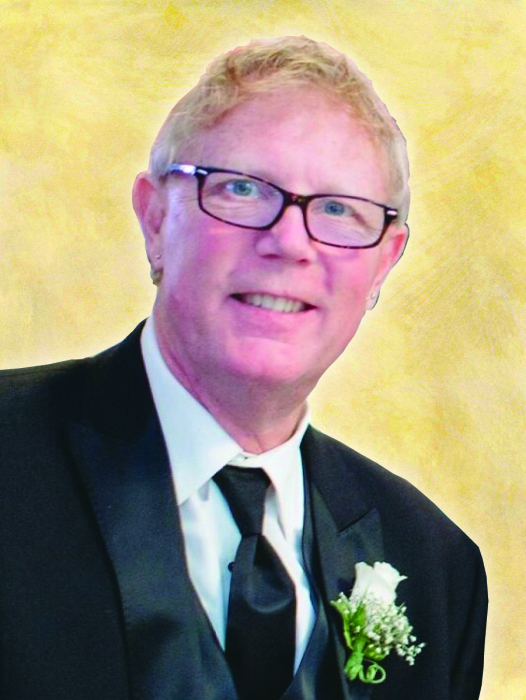 Gregory (Greg) Lee Lueckenhoff, 66, of Quincy, went to be with our Lord at 3:46 p.m. on Saturday, November 3, 2018 at Barnes Jewish Hospital in St. Louis, Missouri after passing from AL Amyloidosis, a very rare disease that is extremely difficult to diagnose and even harder to treat. He fought the battle well and never complained during his hospital stay of nearly 7 weeks. Born July 27, 1952, in Purdin, Missouri, Greg was a son of Phyllis and Jacob (Jake) Lueckenhoff who proceeded him in death. He graduated from Christian Brothers High School in 1970 and Hannibal LaGrange College in 1972. Greg was the owner of Adam Florist in Quincy, Illinois for 29 years. He was also the pastor of The Upper Room Christian Fellowship Church in Quincy, Illinois after being ordained a minister in March of 2001. He taught Floral Design classes at John Wood College for several years and taught Art and English in Poland in a summer program for the American and Polish Alliance for English Learning for close to 20 years. In addition was a member of the Quincy Rotary Club, PFLAG of Hannibal and past president of the Quincy Floral Association. He was also the first recipient of the Sponsorship Award for the Miss Quincy Scholarship Program. Greg was a talented individual and used his talents well. His excellent skills in floral design were worldwide as he traveled to New York and Poland and many other areas to do the wedding flowers for many brides. His floral designs have won major awards as have his hand painted china pieces. Greg was fond of antiquing and enjoyed spending time finding “treasures” at antique malls and flea markets. He also was a cake decorator and enjoyed making many beautiful cakes that he gave away. A true friend to many, he was one of the most gentle and kind people around. He had a friendship list that was into the thousands and people enjoyed knowing him and being around him. Greg was a true Christian and followed his faith very strongly and was a great example to others for his compassion and care that he continually gave to other. Greg is survived by his brother Stephen "Steve" Lueckenhoff of Albuquerque, New Mexico; his partner of 17 years Scott Wheeler of Quincy, Illinois; his stepson, Brian Wheeler and his wife Marissa of Las Vegas, Nevada; his stepdaughter Lauren Evelsizer and her husband Darren of Normal, Illinois; his step-granchildren Addison and Colin Wheeler of Las Vegas, Nevada, and Jackson Evelsizer of Normal, Illinois; two aunts, Bea Kempker of Jefferson City, Missouri and Helen Thomas of Quincy; his uncle Howard Christy of Jefferson City, Missouri; his mother-in-law Anna Marie Wheeler of Kankakee, Illinois; brothers and sisters-in-law, Sherry Ashcraft of Chicago, Illinois, Dallas and Mary Wheeler of Kankakee, Illinois, and Erik and Corinn Wheeler of Herscher, Illinois; as well as many cousins, nieces and nephews. VISITATION: 4:00 to 7:00 p.m. Friday in the Zehender Robinson Stormer Cookson Funeral Home in Quincy, Illinois, and Saturday at the funeral home from 8:30 to 9:30 at the funeral home. SERVICES: Prayer services will be held Saturday morning at 9:30 in the Zehender Robinson Stormer Cookson Funeral Home and a Mass of Christian Burial at 10:00 in the Quincy University Chapel with Monsignor Michael Kuse officiating. Burial will be in Calvary Cemetery. FLORAL ORDERS AND MEMORIALS: Floral orders may be placed through Adam Florist (217-228-0522) whose staff is honored to handle the requests for their boss Greg as their way of honoring him the best way they can. Memorials may be made to the AL Amyloidosis Foundation.